This entry was posted in News and tagged rubicon, teaser, video. Bookmark the permalink. I really like the new album “Rubicon”, but I hope to hear the whole album, you conform a great team,!!! I like so much the voice of Mariangela, she’s very charismatic!!! Many people doubt about the new material; but I think that you will crush heads!!! I hope see you soon here, Argentina again!!!! yesterday i received an e-mail from napalm saying my order is on its way, i’m so anxious to receive it… i’ve been feeling so since i placed the order 2 months ago and i already know Rubicon will stay in my player for the next following months. 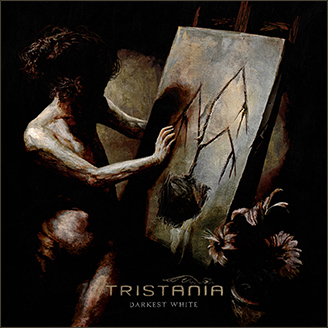 really, tristania are one of the few bands that manage to make me more and more fall in love with their records as time passes by and new records are released. i almost fear i will like this more than Ashes! – how many times did i already say, please come to italy or slovenia?!? Sounds bloody awesome. The more I hear of this record the more I think it might be able to draw level with World of Glass as my all-time favorite. Can’t wait until it finally arrives. This is just the begging of a new phase. I wish the best. Please come to Brazil again!